Reyes Roofing Contractors, LLC has earned the respect of our Reston VA customers as being the best roofing service in the area for more than 20 years! 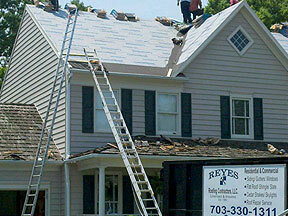 Reyes Roofing Contractors, LLC has been serving Reston, VA and the Northern Virginia community since 1991. We have a team of CertainTeed Certified Master Shingle Applicators on staff to handle all of your roofing repair and replacement needs. We work closely with our customers to evaluate their roofing needs and provide solutions based on the latest, most accurate product and technical knowledge. Your residential or commercial roof may have been exposed to harsh elements of weather or be an older roof that is starting to show it's age. If you are experiencing a leaky roof or damaged roof and are in need of a roof repair, you can rely on Reyes Roofing Contractors, LLC's professional, licensed roofers to provide prompt, courteous assistance with quality products and craftsmanship. Check out some of our roofing projects here. 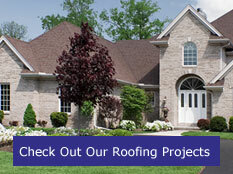 Click here to receive a free, no-obligation roofing estimate. Contact us at Reyes Roofing Contractors, LLC with any of your Reston, VA roofing questions.